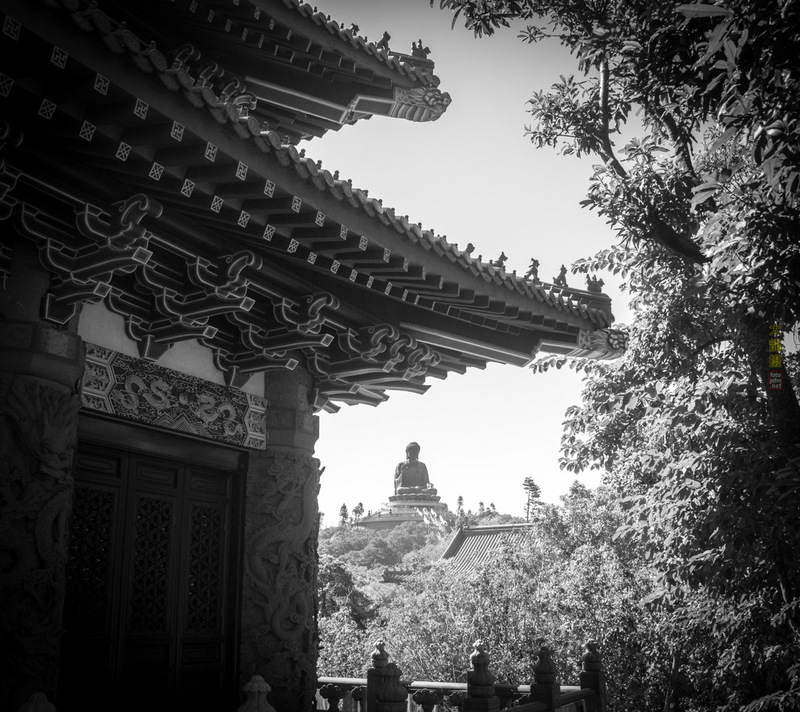 Po Lin Monastery is most famous for its Giant Buddha Statue that has become representative of Lantau Island and the city-nation of Hong Kong. The sea surrounds the mountains that conceal this once remote monastery, and the entire are should be on any Hong Kong tourists' itinerary. 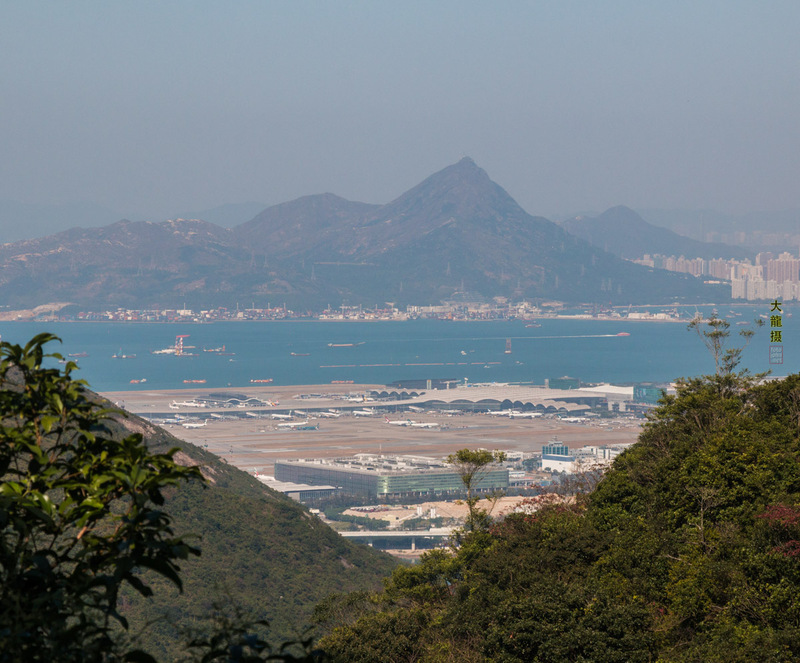 Beyond the Giant Buddha, cable car and beautiful monastic architecture, the surrounding mountains are ideal for countless hikes with spectacular views and natural beauty. 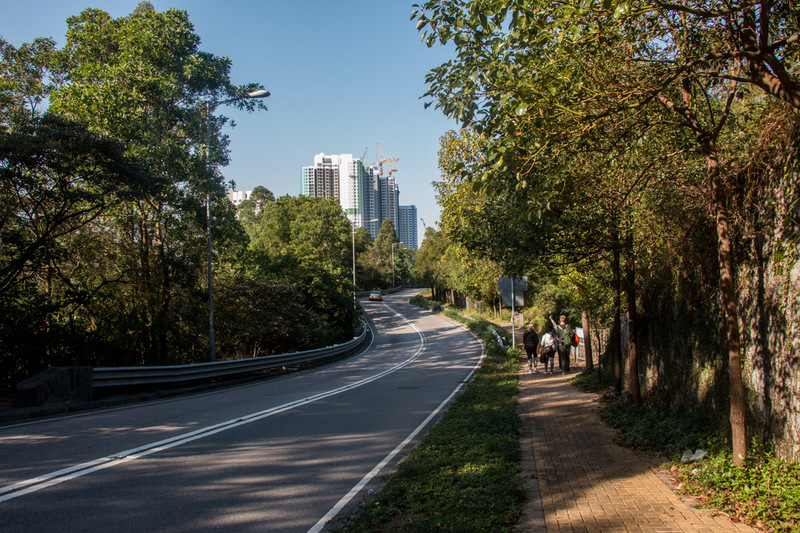 The route from the monastery to Tung Chung is probably the easiest as its all downhill. 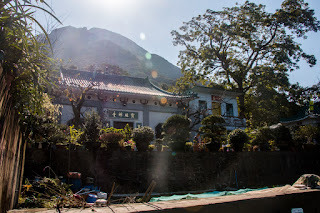 From Tung Chung MTR station there is a cable car which goes directly to the monastery. Called Ngong Ping 360, its only a moment's walk from the underground station, but is a little pricey. A cheaper alternative is to take the bus number 23 to Ngong Ping (the stop for the monastery). It leaves from Tung Chung Town Centre Bus Terminus. Getting to the bus station from the MTR is well signposted so you won't have any difficulty finding the bus. Take exit B at the MTR station and Walk across to the other side of the square, keeping right, cross the road, and walk on the right hand side. You will see a smallish bus station in front of you on the other side of the road. The buses to Ngong Ping are at the opposite end of the station. Buses leave every 30 minutes and tickets are more expensive on Sundays(HK$25). Since Po Lin Monastery is a major tourist attraction buses fill up fast and its possible that you will have to wait till the next one. To avoid this, leave as early as possible. Before the hike, you can fill up at Po Lin monastery with lunch, which is of course vegetarian. There is the standard or the deluxe version of a set lunch. The deluxe version costs a lot more than the already expensive standard version (HK$138), but there seems to be little difference between the two except seating area! So the standard version is recommended - quantity is decent and quality is fine (nothing special though). 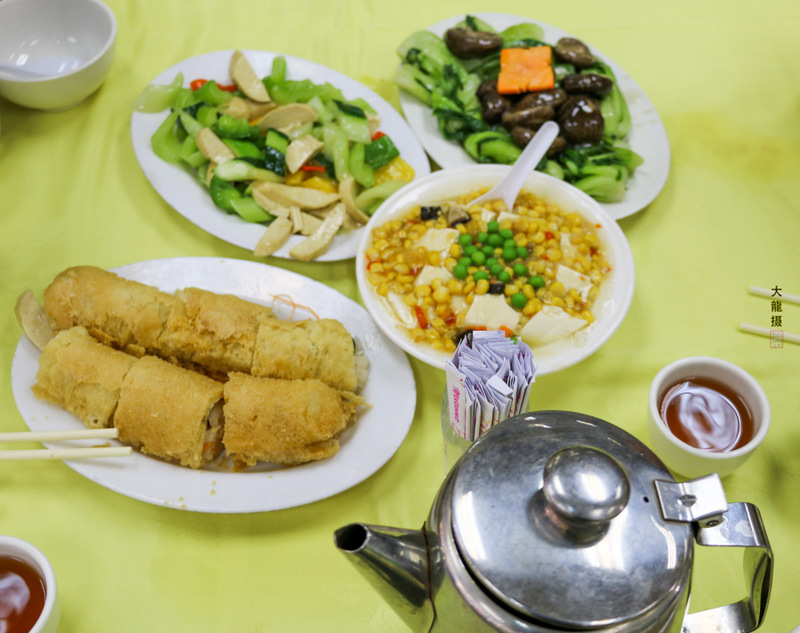 There is also a cafe/deli, where you can buy individual dishes like fried noodles, dim sum and sweets for HK$30-60, cheaper and just as filling! 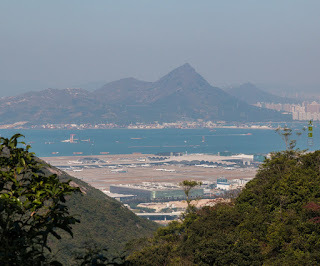 The hike to the bottom of the mountain takes about 1 and a half hours and on to Tung Chung add another 1 hour. 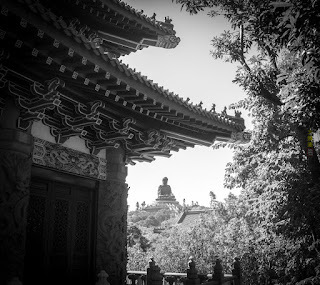 At Po Lin monastery, follow the road the curves between the Giant Buddha and the Monastery. At the end turn right and walk along the 'Fun Walk' past the abandoned Tea Garden and then past the Wisdom Path on your right. Keep walking along the road, at the end is an arch which marks the beginning of the hike down. The road is very narrow but paved, so you'll know you're on the right path. Simply follow the path all the way down. The hike takes you through forests and there are views of the sea and mountains. 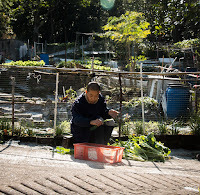 You will go past Fa Hong Monastery (法航精舍) and Wah Yim Kok Pagoda (華嚴閣) which are like a mysterious village tucked away in valleys and forests, connected with little paths along narrow bridges. 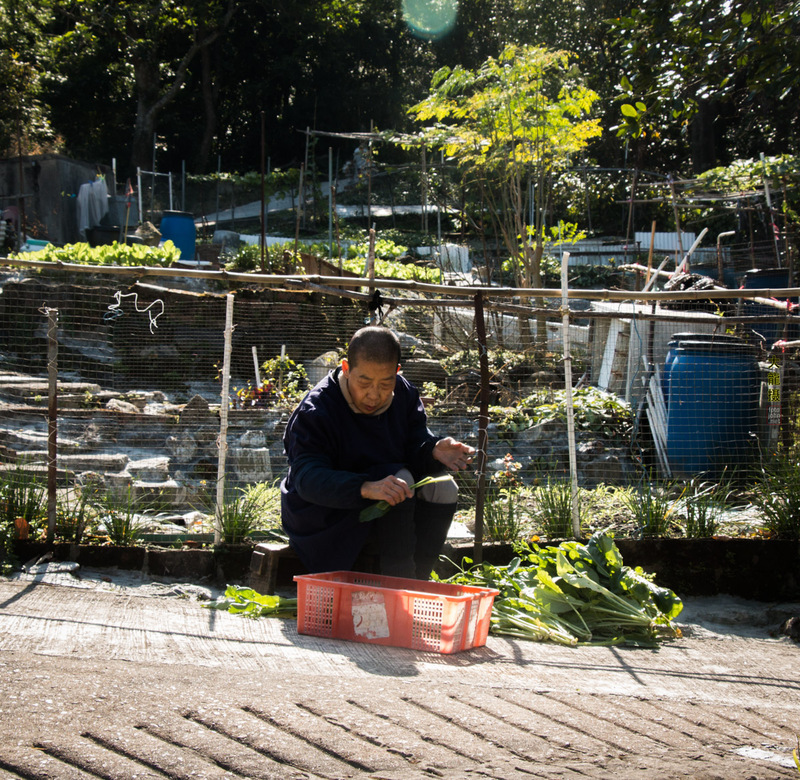 Vegetable gardens cultivated by the monks recall a forgotten past. Unfortunately the walk takes you round these sights, rather than through them, because the monastery is closed to visitors. 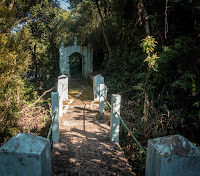 Just before Shek Mun Kap (石門甲), a village at the bottom of the mountain, there is Tung Chung Lo Hon Monastery (東涌羅漢寺), where the path becomes a road. A short distance ahead is the main road to Tung Chung and a bus stop. From here the hike goes along a main road, and isn't very interesting, so its a good place to end the hike and take a bus back to civilisation. 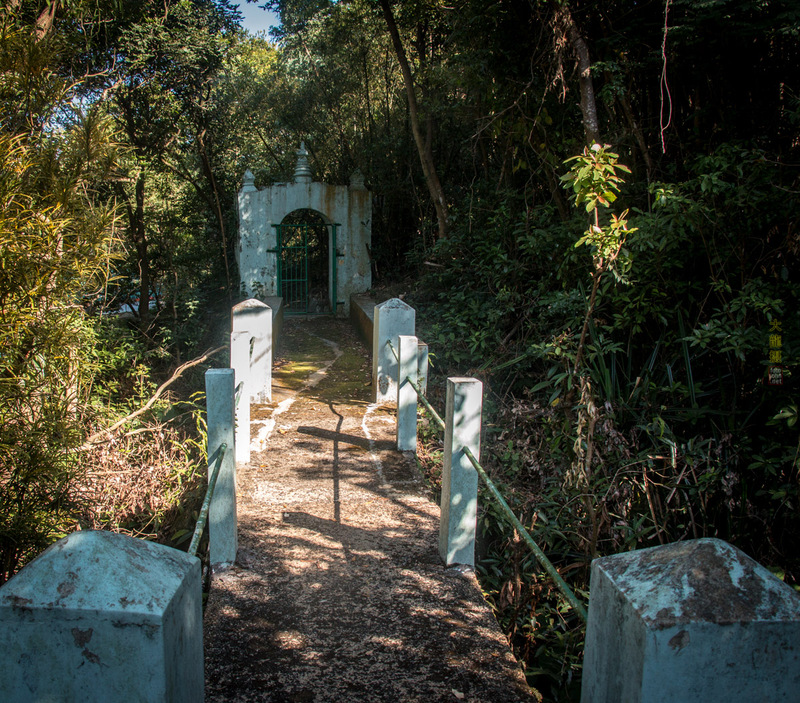 This hike is great for people looking to escape the noise and chaos of the mega-city and see a bit more of what Hong Kong used to look like. Since its easy to get to and all downhill its a great walk for any level of fitness.